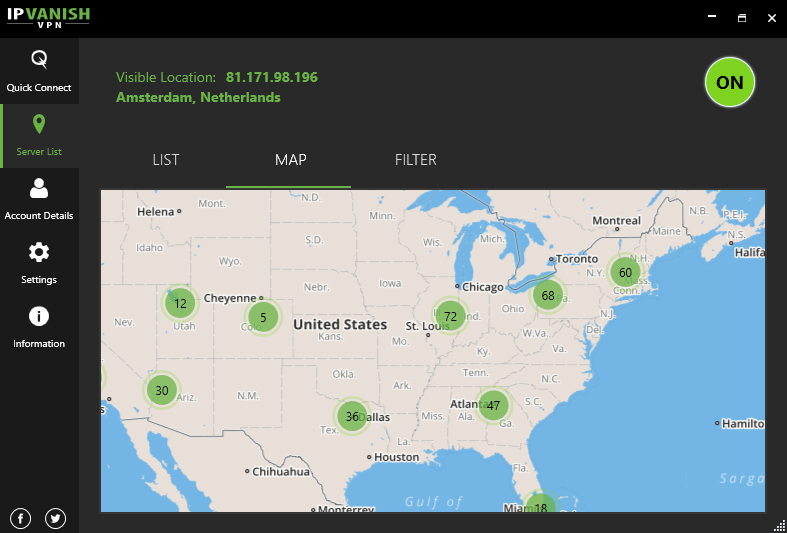 IPVanish is a reliable VPN-provider, and a good option all together. In short: you’ll pay a little more, the app is slightly more complicated than others, but you’ll certainly get a little extra too compared to other services. Established in 1999, IPVanish has been a regular and reliable VPN provider for quite some time. The company runs a network of over one thousand servers, in over sixty countries. 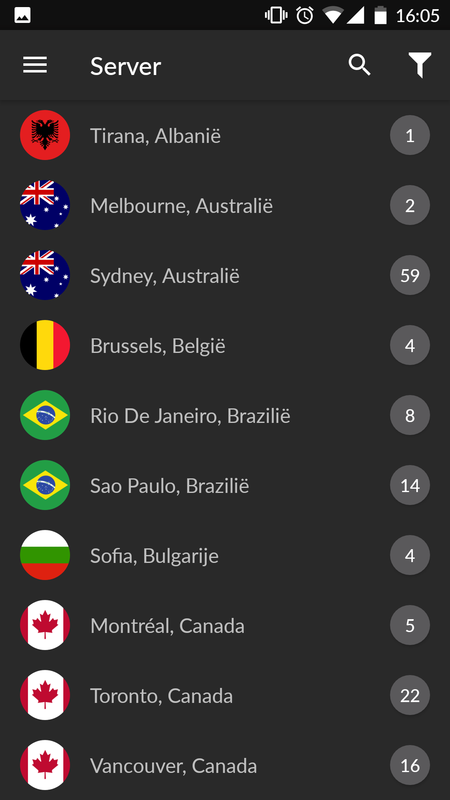 As per usual, most of these are located in Europe and the US: Asia, Oceania, and Africa apparently are less interesting locations. The African continent only has 11 IPVanish servers, and every one of them sits in Johannesburg. The server count in China and Russia is even lower (zero), because of the ever-changing internet policies in those territories. Internet speeds vary according to region too. In the EU and US, speeds are generally good, but not often reach the average performance of other VPN-providers. Which feels a bit off, considering the fact IPVanish is generally a bit more expensive than other quality VPN providers. Of course, IPVanish ads a free ‘Socks5’ proxy to its service, which makes it possible to surf the internet anonymously without having to download a specific program. There’s one disadvantage though: the connections you establish through this proxy are less secure than through VPN. 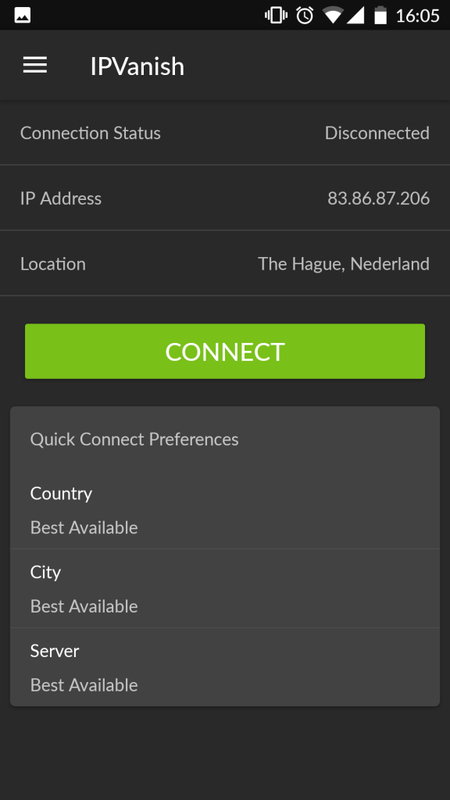 IPVanish offers several applications (including VPN for Android) to quickly establish your connections to their VPN-network. These apps offer a wide range of options, which may present a challenge to starting VPN users. Luckily, the IPVanish website offers clear instructions to get your connection up and running, and tweak your settings to optimize your account. Setting up a VPN by means of the app is relatively simple, and IPVanish is constantly improving their software on the basis of customer feedback. But still: inexperienced users probably need a little help and determination to see things through. One option for instance that’s hampered by complexity is the possibility to pick servers from a world map, yet one that is completely unclear to the untrained eye. This is a recurrent theme in IPVanish’ app designs. Many options are available, but are not particularly easy to find or use. The service would greatly benefit from a couple of standard options for streaming and downloading, to make setting up a VPN less daunting for starting users. IPVanish doesn’t advertise the circumvention of geoblocking, so we won’t score them on this account. This doesn’t mean it is impossible to overcome geoblocks through the use of IPVanish’ VPN servers,. It simply means they aren’t actively engaged in continuously shuffling IP-addresses to fool geoblocked services, like Netflix or BBC iPlayer. Most VPN providers use third-party servers and cloud services to enhance their operational network. VPN providers with a full-blown network of their own exist, but are wide and far between. IPVanish is one of those companies, and benefits from a network that exists for one purpose alone: hosting your internet connection. IPVanish’ internet speeds on average are quicker than those of the competition, because servers exclusively deal with the needs of their clients. Average up- and download speeds in Europe and the US are quick enough to satisfy most users. Even though they fall a little short of the VPN providers we tested as fastest of the bunch. Outside of Europe and the US, internet speeds (like with other providers) drop considerably, courtesy of local infrastructure conditions. VPN-services do not vary much in pricing, with IPVanish among some of the more expensive offerings. A one month subscription costs $7.50. A yearly subscription fee goes for $4.87 and a three-month subscription stands at $6.74. 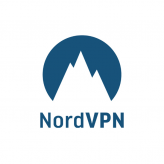 Again, these are not the lowest prices around, but the money will buy you a highly reliable and stable VPN provider. Free VPN’s are available, but we don’t recommend using these. Any VPN-provider that’s in for the long haul will invest in privacy and security, and IPVanish has done its share to secure your safe browsing. After China and Russia altered their policies concerning data storage, the company simply walked out of these countries. This is a sure sign they value the online security of their customers over geopolitical gains. Also, any connection you make through IPVanish’ servers has been encrypted by means of 256-bits AES encryption. This encryption standard is very hard to break, ensuring your online activities are safe from peeping toms. 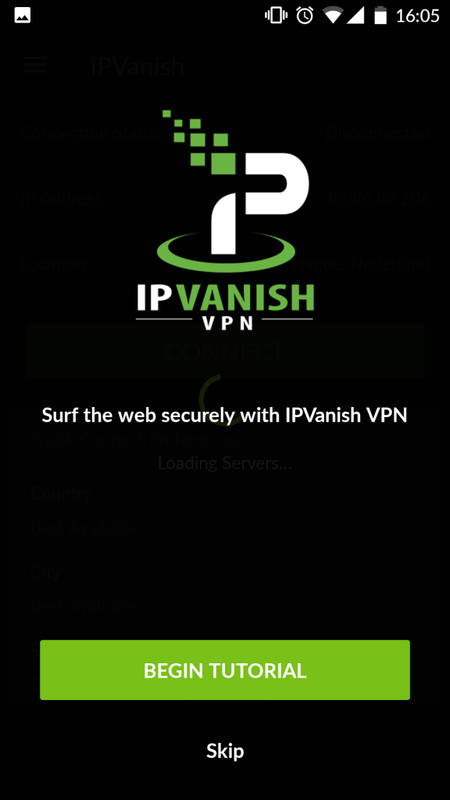 Apart from this IPVanish supports most popular VPN-protocols. The only omission from the roster was the IkeV2/IPsec protocol from the roster, which is not unusual for something that was launched recently, but still. Also on offer is a Socks5-proxy, allowing you to surf anonymously without installing a seperate program. This helps keeping your internet speeds up (but you compromise a little bit on security and privacy standards). Many VPN-providers advertise options to circumvent geoblocking. However, practically this isn’t always the case – at least not all the time. To us, it’s rather refreshing to see IPVanish NOT advertising the service, while offering it anyway! You’ll still have to find your access point to things like American Netflix or BBC iPlayer. But IPVanish’ servers abound, and spawn enough IP-addresses to finally secure your connection to these services. VPN for Bittorent, on the other hand, is fully – and openly – supported. 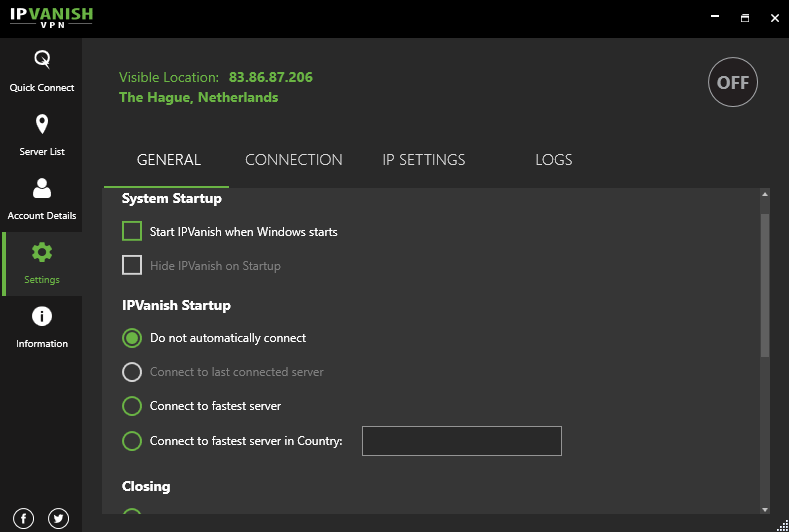 IPVanish’ servers are available for your up- and downloading all the time. VPN-providers aren’t always state-of-the-art when it comes to customer services. Many companies offer the possibility of a direct chat with a call centre employee for a quick exchange of basic information, but for more complicated stuff you’ll need to look at other support methods. IPVanish offers handy tutorials to guide you through your setup process, on all devices. A central knowledge centre on the website is helpful as well. Direct chat is notably absent, however, and a 24/7 support service is only available through email. Not that the emails aren’t answered speedily, but delays do occur – making one wonder why it’s called a 24/7 service in the first place. Luckily the emailed answers generally are concise and to the point – employees seem to be well informed about most issues associated with VPN-services. 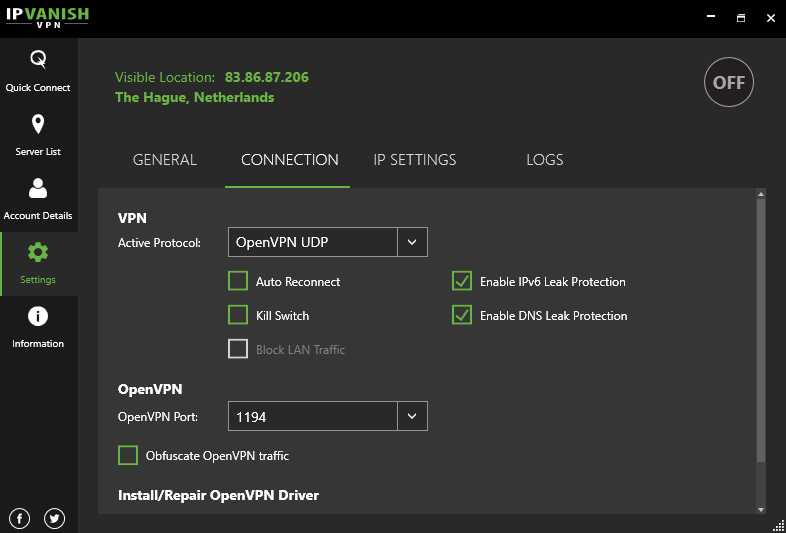 IPVanish is a reliable VPN-provider, and a good option all together. The slightly elevated price point (compared to other services) and the time it takes to get online would profit from slight adjustments. Yet there are hardly issues. If you want to, you can circumvent geoblocking, and we absolutely adore the limitless use of Bittorrent on offer. Add to this the general reliability and relative speeds of VPN-servers and IPVanish certainly makes the dash for the top tier of VPN-providers. In short: you’ll pay a little more, the app is slightly more complicated than others, but you’ll certainly get a little extra too compared to other services.